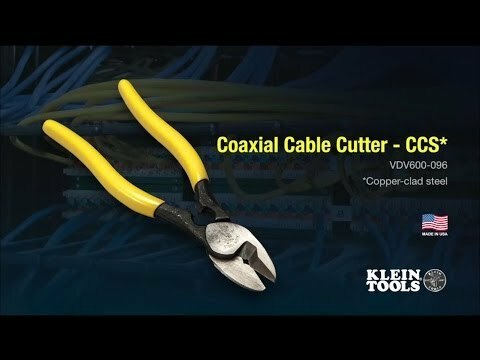 The Coaxial Cable Cutter - CCS has a multi-functional blade optimized to cut copper-clad steel (CCS) coaxial cable and other common wires or cables. It has two cutting areas to accommodate different cable types. Now you only need one cutting tool for your voice/data/video installations.